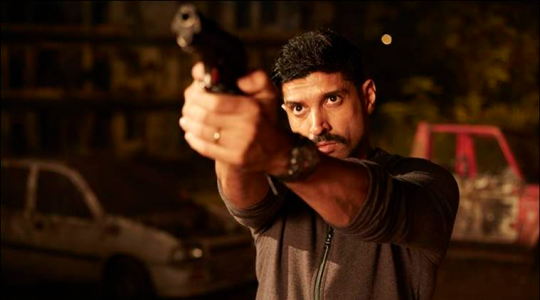 Farhan Akhtar had an ordinary life but today he is one of the most accomplished actors. In fact, there are few men from Bollywood who have so many claims to fame as Farhan Akhtar. Here’s looking at certain facts that you never knew about Farhan Akhtar. Farhan Akhtar is a college dropout: Farhan Akhtar was studying in HR college in Mumbai before he dropped out. He says that he regrets the decision even today. For the longest time Farhan didn’t do anything with this life. There came a time when his mother threatened to throw him out of the house because he was not doing anything with his life. That jolted Farhan and he decided to write a film script like his father. The film script later gave birth to the movie “Dil Chahta Hai”. Like a lot of people in the world, Farhan too has a strange phobia. Farhan Akhtar is very scared of cockroaches. Did you know that Rang De Basanti was first offered to Farhan Akhtar before it finally went to Aamir Khan. Ask him and he will confess that he still regrets the decision of not doing the film. Farhan Akhtar admits that he has OCD (Obsessive Compulsive Disorder). He loves to arrange everything in a proper order. It irritates him if things are not in a particular sequence.